Kiu Ghanavizchian is a Chartered Professional Accountant, Chartered Accountant (2001) and a Chartered Business Valuator (2009). In 2007 he completed his Masters of Business Administration at the University of British Columbia. 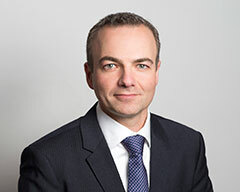 Since joining Blair Mackay Mynett Valuations Inc. in 2007, Kiu has specialized in business valuations and has prepared reports in the context of Family Law matters, shareholder disputes, corporate reorganizations, acquisitions and divestitures and estate planning. Some of the industries involved in those valuation assignments have included agriculture, construction, forestry, healthcare, insurance brokerage, manufacturing, professional services (accounting, engineering, legal, medical, etc. ), real estate, restaurant and hospitality, retail, software, transportation and wholesale distribution. Kiu has also prepared expert reports regarding the income available to a spouse for child and spousal support purposes (typically referred to as Guideline Income reports). Kiu has been qualified as an expert witness in the Supreme Court of British Columbia. Kiu has given presentations regarding business valuations and the use of financial statements to the Continuing Legal Education Society of BC, the Canadian Bar Association, The Canadian Institute of Chartered Business Valuators, the Succession Network and various law firms and professional associations in the Lower Mainland. Kiu is a co-author of the course notes for Lawyers’ Use of Financial Statements published by The Continuing Legal Education Society of BC. Between 2003 and 2007, Kiu was a lecturer at the Sauder School of Business (University of British Columbia) where he taught courses dealing with financial accounting, financial statement analysis and the use of financial information in business valuations. Prior to teaching at UBC, Kiu worked for KPMG LLP where he provided assurance services to a variety of public and private enterprises and not-for-profit organizations. To contact Kiu, please call 604-697-5297 or email kiu@bmmvaluations.com.